Albion College announced today that they will be moving forward on a plan to replace the infamous black squirrels seen around campus with gray squirrels. The move comes after the administration discovered that the black squirrels have been eating too many of the acorns scattered on the Quad. Maintenance workers have been puzzled for months by the lack of acorns that need to be blown off sidewalks. Acorns act as a food source for many animals in the environment. A lack of food can lead to detrimental effects on animal populations and their ecosystems. The hope is that the gray squirrels will act in more environmentally friendly ways by following a stricter diet, although no research has been conducted to see if this move will work. 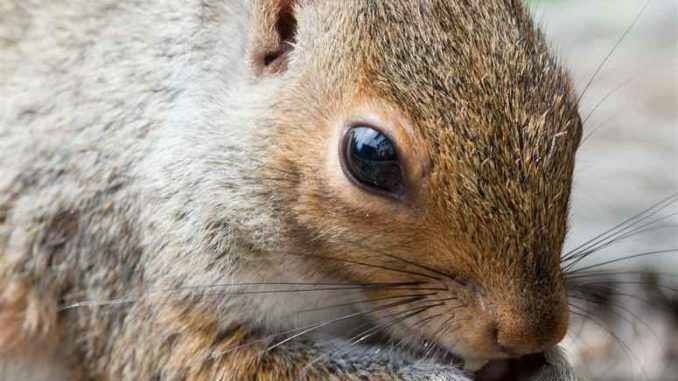 The gray squirrel will slowly be implemented into the ecosystem over the next three years. All of the black squirrels will be captured and released into the nearby Marshall ecosystem. Both the gray and black squirrel are from the same species of Eastern Gray Squirrels. The black squirrel has evolved so that its fur can obtain heat to withstand the long, cold Michigan winters. Time will tell if the decision by administrators will be effective. Love it! Best April Fools yet.